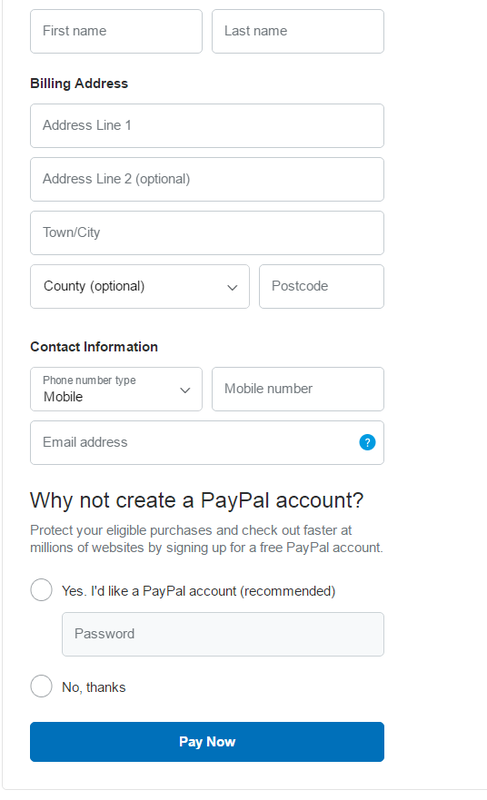 [mpc_textblock preset=”default” content_width=”100″]It is important to note that it is not mandatory/necessary to create an account when checking out using the PayPal framework. By clicking on the ‘No, thanks‘ option PayPal charges the credit card without further account creation procedure. However, there are a few ways when this option is not shown to users. if this happens, try clearing your browser cookie and history data, or try a different browser. When reset it should offer the option again. 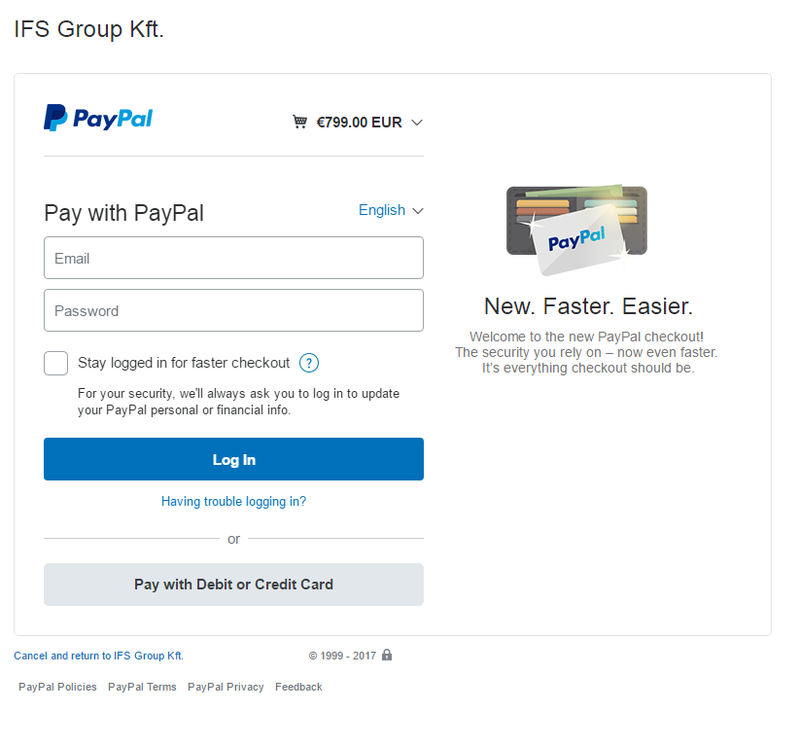 When a user has a cookie of PayPal account already in the browser, PayPal will opt the user to log in instead of checking out as guest. In this instance as well, the optional tab won’t be shown. By clearing the browser cookies and history data this can be solved as well, or equally by using a different browser not containing PayPal log-in information. 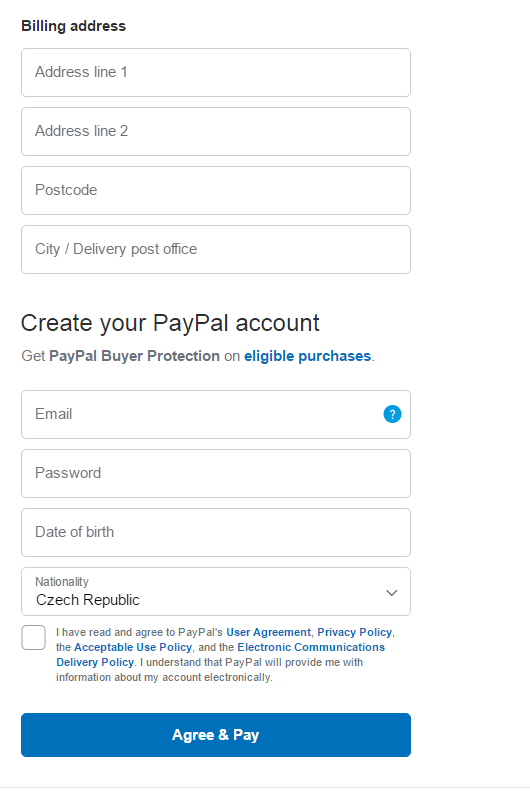 In some rare instances based on country PayPal may not have the option to check out as guest, unfortunately no solution exists for this other than wait for the development on PayPal side to finish adding your country. In conclusion, by deleting browser cookies and history data, the ‘Optional’ check out as guest tab will be shown and you may finish the process without creating a PayPal account. Any questions please use the contact form and we’ll gladly assist. Target zero; zero harm; no accidents, although they all look good on paper, they all focus on what you want to avoid. Imagine setting your business goals at the start of the year and presenting a goal of wanting to avoid any financial loss this coming year to the board. They would boot you straight out of the room! So, for what reason do we accept that with safety? [heading title=”Organizer” fontclass=”fa-building-o” delay=”300″ icon_style=”wohex”][mpc_icon_column preset=”mpc_preset_56″ alignment=”left” padding_divider=”true” padding_css=”padding-top:40px;padding-right:30px;padding-bottom:40px;padding-left:30px;” margin_css=”margin:0px;” title_font_preset=”mpc_preset_1″ title_font_color=”#4c4c4c” title_font_size=”20″ title_font_transform=”uppercase” title_font_align=”left” content_font_preset=”mpc_preset_44″ content_font_color=”#ffffff” content_font_size=”14″ content_font_line_height=”1.5″ content_font_align=”left” hover_border_css=”border-radius:10px;” mpc_icon__preset=”mpc_preset_9″ mpc_icon__transition=”fade” mpc_icon__icon_type=”image” mpc_icon__icon_image=”1782″ mpc_icon__border_divider=”true” mpc_icon__border_css=”border-radius:60px;” mpc_icon__padding_divider=”true” mpc_icon__margin_divider=”true” mpc_icon__margin_css=”margin-bottom:20px;” mpc_icon__hover_border_divider=”true” mpc_divider__width=”10″ mpc_divider__lines_color=”#75cdde” mpc_divider__lines_weight=”4″]IFS Group is a team of conference organizers with combined years of experience of over 50+ years and strong experience in the organization of B2B events in the health and safety arena. The number of companies supporting IFS Group grows year by year, with well over 20 countries participating at our events annually. © 2017 IFS Group Ltd. All rights reserved.